Genomics pioneer Illumina announced Monday it has acquired a five-year-old San Diego startup that makes a specialized processor to speed the analysis of genetic data. 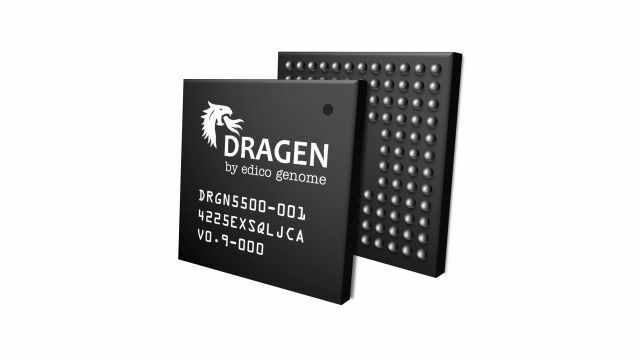 Edico Genome’s DRAGEN Bio-IT technology uses field programmable gate array chips in conjunction with proprietary software algorithms for rapid analysis of genetic data produced by DNA-sequencing machines. “Our acquisition of Edico Genome is a big step toward realizing the vision of reducing sequencing data acquisition and analysis to a push-button, standardized process,” said Susan Tousi, senior vice president of product development at Illumina. Company officials said the DRAGEN platform complements Illumina’s sequencing products and enables customers to benefit from reduced investment in computing infrastructure. “Our team is invigorated at the prospect of joining Illumina to combine our respective strengths to streamline and accelerate secondary analysis for the genomics community,” said Pieter van Rooyen, president and CEO of Edico Genome. Terms of the acquisition were not announced, but the deal is reportedly worth $100 million.